Picked as a `Most Anticipated Book of 2018‘ by Vogue, Sunday Times, Observer, The Times, Sunday Mirror, Daily Express, BBC Arts, Red Magazine, Stylist, The Pool, Emerald Street, Independent, The Herald, Irish Times, Irish Tatler, and The Journal and Irish Independent. One September evening in 1785, the merchant Jonah Hancock hears urgent knocking on his front door. One of his captains is waiting eagerly on the step. He has sold Jonah’s ship for what appears to be a mermaid. As gossip spreads through the docks, coffee shops, parlours and brothels, everyone wants to see Mr Hancock’s marvel. Its arrival spins him out of his ordinary existence and through the doors of high society. At an opulent party, he makes the acquaintance of Angelica Neal, the most desirable woman he has ever laid eyes on… and a courtesan of great accomplishment. This meeting will steer both their lives onto a dangerous new course, on which they will learn that priceless things come at the greatest cost. Where will their ambitions lead? And will they be able to escape the destructive power mermaids are said to possess? 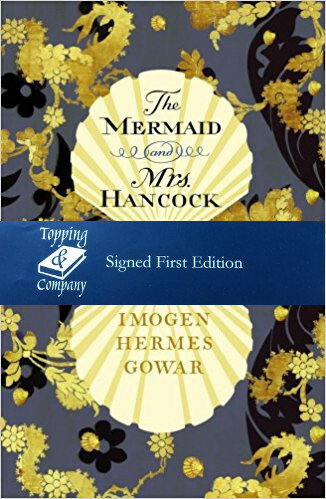 In this spell-binding story of curiosity and obsession, Imogen Hermes Gowar has created an unforgettable jewel of a novel, filled to the brim with intelligence, heart and wit.